When you’re busy growing a firm, raising a family, and trying to have a life at the same time, you can neglect to tell your own story (or even reflect on it). This has certainly been the case for us in the past few years. Moving forward though, we’re taking a new direction with our blog and social media, looking to engage with more local businesses and give practical advice for anyone who might need to use a lawyer. We know that dealing with a lawyer can be daunting, so it’s important that we give you some context into who we are, how we work and when we can help. Why? Because we offer a point of difference in a legal market where plenty of lawyers want to do everything, and not do it well. Our approach is also coloured by our experience both professionally, and in life. So we thought, what better way to give context to why you might want to use MCG Legal than give insight into where we have come from? Both our partners Matt and Nick started their professional lives as police officers, and spent over a decade serving the community. Police work is highly varied and challenging, which has equiped them well to deal with difficult and fast moving situations. There’s nothing like life experience to give you the strength of character to help people through difficult situations, and for us, our original careers were influential. The empathy and ability to cut through purely emotional responses to help our clients in the most effective way was certainly developed over these early years. Having families on the Gold Coast and being so ingrained in the local community also means that as a firm, we are dedicated to responding quickly, efficiently and effectively. This dedication drives our firm, as we know that we can provide a level of service above and beyond what others do, and serve the Gold Coast community as best we can. Having started in practice and made his way to partner at another firm, Matt went out on his own in 2009 and founded MCG Legal. Being the height of the GFC, that year was tumultuous for lots of reasons. However, Matt was determined to create a firm with a focus on family law, wills & estates and real estate that could serve clients on the Gold Coast and grow into something to be proud of. Over the last decade, Matt has grown MCG Legal into a values-driven legal services business, focused on providing clear, pragmatic and high-quality advice to the people of South East Queensland. Very few people start a business during the biggest economic upheaval in a generation, but Matt was able to ride that out and grow the firm to its present 14 team members. Like in any business, there have been ups and downs, but together with Nick, in the last few years Matt has grown a practice known for servicing clients on the Gold Coast, Brisbane and throughout Australia. A big part of the firms growth has been its ability to retain great people and create a culture of respect and flexibility. Family is a huge factor for all our lawyers and team, so we put family first for all of our staff. Ultimately, we set out to create an environment we could be proud of, and our “family first” attitude is an important aspect of creating this environment. We are at our heart a local gold coast practice built on local values. This extends well beyond work. For instance both Nick and Matt are heavily involved in sporting clubs such as Mudgeeraba Nerang Cricket Club and Broadbeach Sports Club. As locals we understand, on a deeper level, the problems that our clients face. 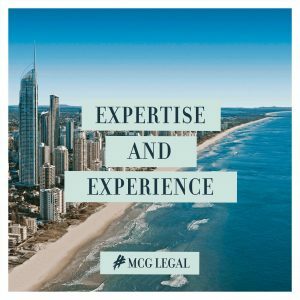 Our mix of legal expertise and personal experience is unique on the Gold Coast, and means that we can relate to and understand our clients on a level that others cannot. For more information about the legal services provided at our Gold Coast practice, we invite you to call our family lawyers on (07) 5591 2222 or contact us regarding a free 30-minute initial consultation.